These are the step to follow to index your site. 1.Create a txt file containing your sites to index. 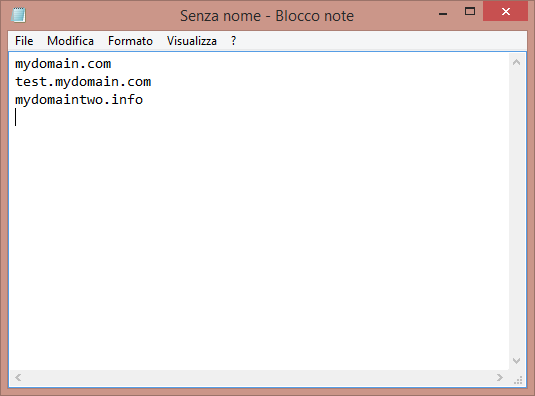 Insert domains/subdomain one per line. Below an example with three sites. 4.Select your preferred services list from dropdown menu (point 8). Optionally you can edit this list clicking on “Edit” button (point 7). 6.Click on “Start button” and wait that indexing is completed. 7.Now you can export to txt file all/completed/not completed urls clicking on “Export” button.